This badge was issued to David Peter Aalbers on 27 May 2018. 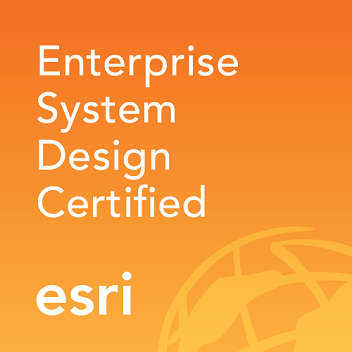 Earners of the Esri Enterprise System Design Associate certification have proven experience with enterprise and solution architecture. Earners will be proficient in best practices related to the application of configuration changes, continuous monitoring and maintenance, and troubleshooting of common Esri technology issues. Earner will demonstrate knowledge designing and implement enterprise information systems in small to large organizations with Esri's ArcGIS technology. Take and pass the Enterprise System Design Associate certification exam.